​Make your next party or event memorable with professional entertainment! 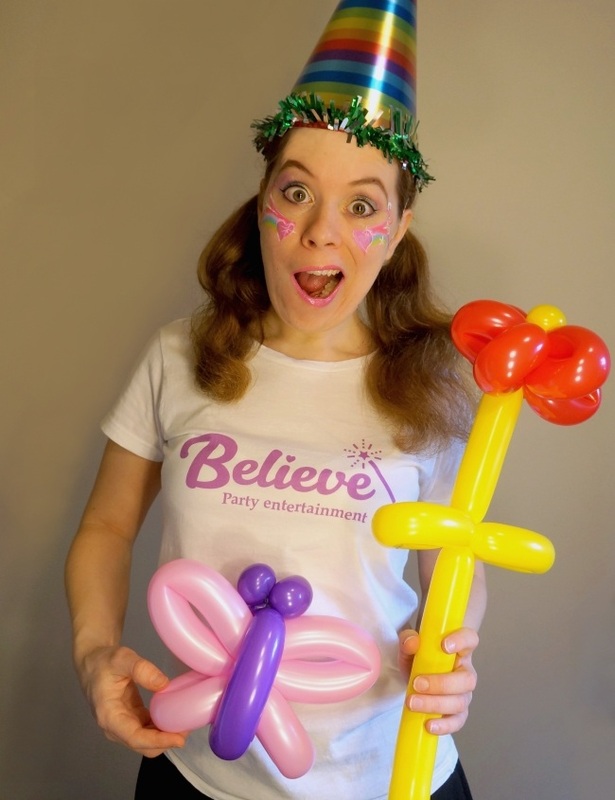 ​Whether you're looking for princess characters, face painters or balloon artists for your children's birthday party or event, we've got you covered! Our wide range of children's party entertainment packages are available in Vancouver and the Lower Mainland. We offer kids' entertainment for every occasion - girls' princess parties, boys' parties, 1 year old parties to 8 year parties and more. Planning a family fun event? Let us keep the children entertained! We have trained and insured event characters and entertainers available to make your next event a memorable one. Big smiles guaranteed! ​Imagine your child's face when their favorite ​princess character walks through the door to entertain ​at your ​kids' birthday party! ​Face painting for birthday parties. 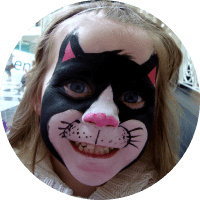 You can book a face painter as a part of ​a character entertainment package, OR choose face painting only. We offer a balloon maker for hire. Choose our balloon twisting services for your birthday party or event. Our balloon animals are always a big hit! Your event is unique. So is our range of children's entertainment. ​Each child, party, event and occasion is unique. We understand that. That's why we offer a wide range of party entertainment packages so that you will always find one that fits your needs. And if you don't see your preferred package, just contact us, as we are happy to tailor most of our options to your event! You may be planning just a small home birthday party, or a full blown party at a play centre - or something in between. Whatever the venue, and whatever the number of guests we can offer you children's party entertainment to make that special day unforgettable. 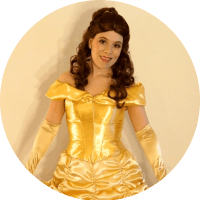 There is no doubt about it, our professional children's entertainers and ​princess characters will be the highlight of any party or event! And with our wide ​range of themed party entertainers, ​there is a character and theme for everyone. We offer Snow Queen Characters, Princess Parties, Mermaid Princess ​Entertainment or Tinker Fairy Party ​Entertainers to name a few. We service Vancouver, Burnaby, Richmond, Delta, New Westminster, North Vancouver and West Vancouver. We also service some areas such as Coquitlam, Port Moody, Surrey and Langley for an extra travel fee. ​​Professional Party Entertainers you can trust. We offer a quality service. ​When you hire professional children's party entertainers you ​will get reliable, quality service. ​Our staff are trained, experienced and passionate in what they do. We strive to exceed your expectations at all times. ​​Your satisfaction is our priority, and we aim to provide you a high quality customer service and speedy responses. ​First time ​booking entertainment? No problem​. We are here to answer all your questions. We don't charge any unneccessary admin or set up fees and there are no other additional fees as long as you are located in our service area and booking a weekend. (A rush hour fee MAY apply on a weekday). We have gone through the necessary police checks for those working with children, so you can have 100% peace of mind. After all, we are working with children, so that is the least you should expect! Choosing a ​​kids' party entertainer with appropriate insurance is of paramount importance. Some venues will require your entertainer to be insured. Believe Party Entertainment ​will fulfill this requirement. ​We're a small business, yet we take pride in operating in a highly professional manner. 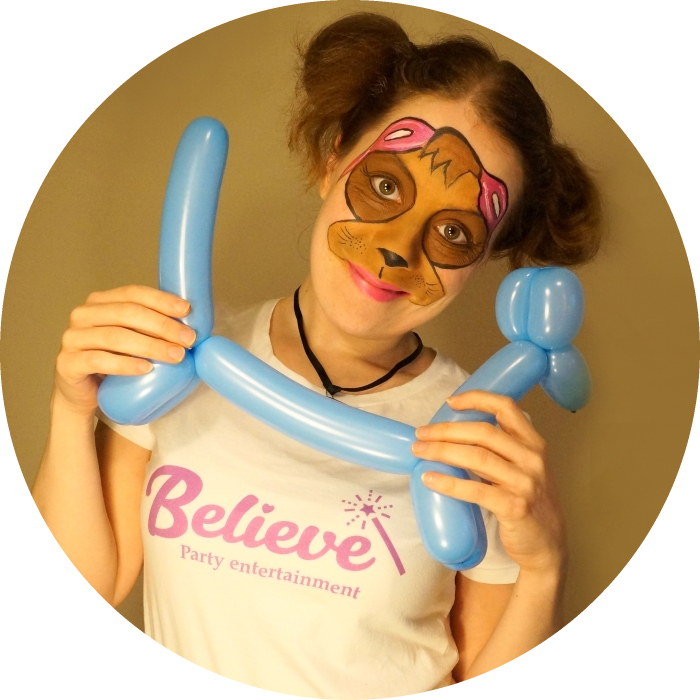 Believe Party Entertainment is a registered and licensed kids entertainment business in BC. ​​Our latest Google reviews speak for themselves. ​For more reviews, visit our pages on Facebook and ​Gigsalad! Everything was professional from start to finish! Everything was professional from start to finish [...] She arrived early and was prepared with everything she needed. Her costume was beautiful and her voice was captivating. She did a wonderful job with balloon twisting!! The entertainer lights up the room when she walks in!! We were pleasantly surprised by Henna's colourful child-friendly outfit, she lights up the room when she walks in, and her excellent face painting & balloon-making skills! All I can say is “wow”!! The children were totally captivated and hanging on to her every word. The parents could not believe how engaged the children were! Her voice is incredible and everyone enjoyed the singing. She made my daughter feel super special. I think people will be talking about this party for a long time. Want to know about offers, kids' events and more? Join our e-newsletter!